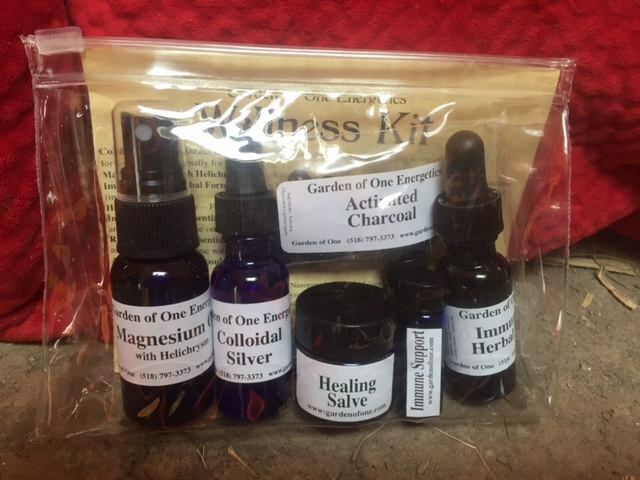 A boxed set of 5, .5 oz Essences grouped around a particular theme. Garden of One introduces yet another innovation in Energy Therapy, the Mini Mysts. In clear 4ml bottles with colorful labels, the Best Selling Series & the Chakra Revolution! Series are sold in glittery gold organza pouches, which make them adorable gifts. 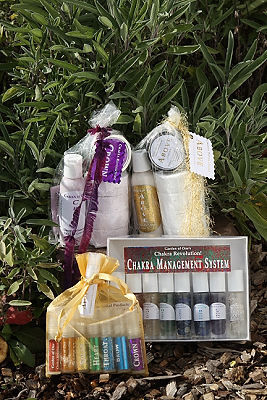 Each kit has eight mini-mysts, one for each of our Best Sellers Series or the Chakra Revolution! Series.